Deal requires Xbox Live Gold, otherwise $29.99. Deal requires Xbox Live Gold, otherwise $39.99. The average price for this game since released is $5.93. The game first became 50% off on Nov 11, 2012 at Amazon. Lowest historic price was $3.99 on Oct 31, 2013 at GameFly. Only available on the US. Even though the Steam codes are region-free, Amazon is too lazy to handle international laws so we get screwed over. Get these two games, PC download Steam Version, for only $10 at Amazon. You won't find this elsewhere so take advantage of this great deal. Includes Prototype, Prototype 2, and Prototype 2: Radnet DLC Pack. No Region Lock. The average price for this game since released is $13.77. The game first became 50% off on Aug 27, 2012 at Amazon. Lowest historic price was $7.76 on Jul 21, 2015 at GamesPlanet. Its been awhile since we've seen a Stem Key of Prototype 2 on sale. The series is on sale at a few retailers but thus far DLGamer wins out in price. First installment also on sale for $5 but its Securom vs the Steam key, so meh to that. Prototype 2 PC download drops to $10.49 at the German based download retailer GamesRocket. Lowest price we've ever seen by a buck. Nearly everywhere else you'll pay $40. Game activates on Steam. One day sale on GamesRocket for Prototype 2 at GamesRocket. New lowest price we've seen at $17.52. Previous low was at $24.99 from GameFly. If you like the first installment of the game, you'll probably enjoy the 2nd installment. Steam account required. GamesRocket is based in Germany so transactions may be slightly hassled depending on how you pay. The average price for this game since released is $17.96. The game first became 50% off on Jun 3, 2013 at Amazon. Lowest historic price was $12.74 on Jan 30, 2015 at NewEgg. The average price for this game since released is $14.39. The game first became 50% off on Dec 7, 2012 at GameFly. Lowest historic price was $12.99 on Mar 18, 2014 at GameFly. Pre-owned copies of Prototype 2 for Xbox 360 and PS3 down to $14.99 with free shipping at Gamefly. Cheapest new copy is $29. The average price for this game since released is $39.43. The game first became 50% off on May 29, 2012 at Amazon. Lowest historic price was $9.99 on Nov 28, 2013 at Microsoft. Unexpected discount on today's release of Prototype 2 at NewEgg. Typical to find a deal like offered on a pre-order but rare to get $10 off the list price on the day of release. Ten bucks off Tuesday's release of Protoype 2 for PS3 and Xbox 360 at Fry's Electronics. Only other discount online is DeepDiscount for $55 otherwise everyone's charging full list price. Sweet NewEgg's deal's back on Prototype 2, just in time to give you another chance to get $12 off list before the game's release. 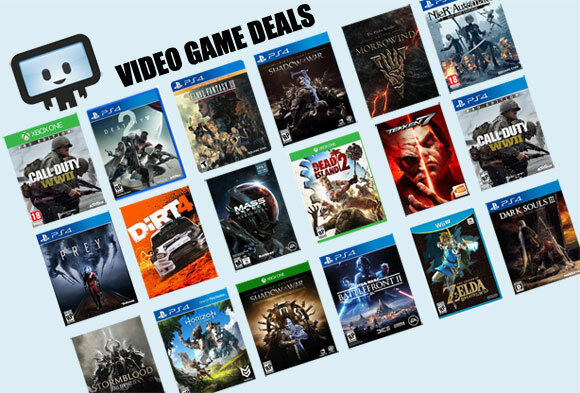 Coupon's good for Xbox 360 and PS3 through Sunday. Next best is $59. Very nice deal on Prototype 2 for 360 and PS3 - $11 less than the next best price. The $12 coupon is good at NewEgg through Sunday, and whether there will be a similar deal again in the next month or so is a crapshoot, so now's a great opportunity if you know you want the game already. Just like Alex Mercer in the 2009 prequel Prototype, James Heller can shapeshift and disguise as another person by consuming their identities and memories, in this April 2012 sequel Prototype 2. Follow his story as he goes on a journey to destroy the Blacklight virus, and to seek revenge on Alex, who is suspected to have invented the virus that killed James' family. This open-world, third person perspective action, adventure game is set in Manhattan after the events of Prototype. Prototype 2 will not have an online multiplayer feature, but will have tons of downloadable content.